Marijuana businesses hoping to serve Maine’s recreational cannabis market will probably have to wait until 2019 and possibly longer depending on how the state’s gubernatorial race shakes out next year. Standing in the way is Gov. Paul LePage, who has emerged as a one-man rec cannabis wrecking crew. The Republican appears to have the will and the means to undermine the state’s adult-use marijuana program, which he demonstrated last month by vetoing a lawmaker-approved bill to implement recreational cannabis in the state. Under that bill, sales likely would have started sometime next year. The veto means officials must go back to the drawing board and create a new implementation and regulatory framework for Maine’s recreational marijuana industry. 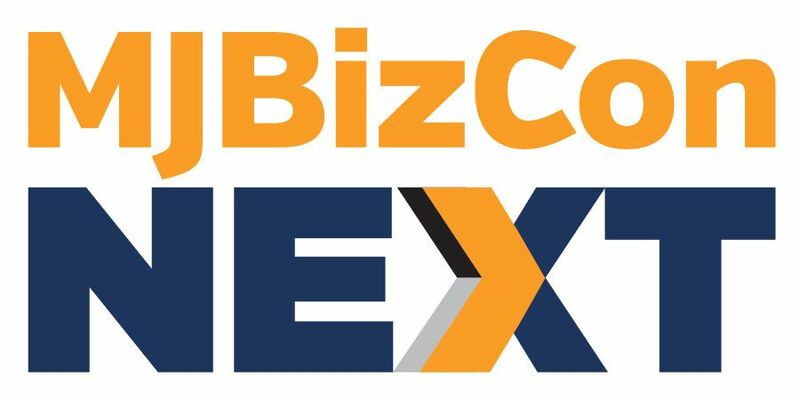 And that will leave eager entrepreneurs in limbo and delay the start of a new industry that eventually could generate $250 million to $350 million in annual sales, according to Marijuana Business Daily estimates. “Best-case scenario, (sales will start in) early 2019. Worst case, late 2019,” said David Boyer, who heads Marijuana Policy Project’s Maine office. Placing a higher tax rate on sales. Removing a cap on cultivation space in the state. Adding a two-year residency requirement for business license owners. In light of the governor’s veto, Maine law mandates that the state revert to the voter initiative and implement the regulations contained within it, Boyer said. But lawmakers passed a moratorium in January on adult-use sales until Feb. 1, 2018, which they pitched as a way to give officials more time to craft new regulations. So everything appears to be on hold at least until then. Once the moratorium expires, the state will have to start implementing the voter-passed initiative. But Boyer said a group of lawmakers who want to further delay the launch of Maine’s recreational industry will seek a second moratorium. He and other advocates also believe LePage will drag his feet and find other ways to prevent implementation of the initiative. It’s possible that opponents and proponents of the recently vetoed bill could hammer out new legislation when they return to session in January. Most agree the initial legislation is good enough to build on, so there’s no need to throw it away and start from scratch. 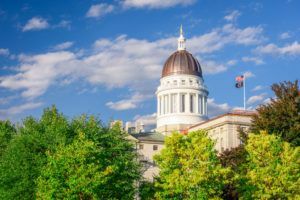 “The (implementation) bill is dead; the framework isn’t, though,” Ken Fredette, the Republican Minority Leader in the Maine House of Representatives, told Marijuana Business Daily. “When we get back in January, we’re going to work off that same framework but look at ways to improve the bill,” added Fredette, who opposed the bill and supported the moratorium. Though the implementation bill wasn’t perfect, Boyer said, it was strong enough to win MPP’s support. Although the bill nearly doubled the effective tax rate from 10% to 20%, the tariff was still lower than most other states with legal rec programs. And while the voters’ initiative restricted the total amount of grow space in the state at 800,000 square feet, the bill had no such cap. He also said Republican lawmakers wanted to revisit how cannabis would be distributed, sold and taxed. Can lawmakers even craft a bill LePage will support, or is he determined to block legalization until his term expires at the end of 2018? If LePage signs off on a bill next year, Boyer believes regulations could be drawn up quickly enough to allow the program to launch as early as January 2019. But Boyer believes LePage will try to impede the bill by withholding funds from agencies to implement the program, or by commanding agencies to not act on what they need to do, such as create applications – even if he vetoes a bill and lawmakers overturn his decision. If LePage is obstructionist, could he face legal action? “We’re exploring every option,” Boyer said. But, Boyer noted, with LePage set to leave office by the end of 2018, it may be more prudent to wait out his term and hope voters elect a governor who favors implementing a rec program. If LePage blocks legislation and forces advocates to wait out his term, the earliest a program could go online would be late 2019 – but that’s only if a governor with a different mindset is elected. “It could be even worse if a bad Republican gets elected,” Boyer said. What Fredette – who is running for governor – and Boyer disagree on is the need to extend the moratorium. “The most important thing is that we need to look at the moratorium,” Fredette said. “There’s no way we’re going to have a bill done and rules in place by Feb. 1, 2018. If there’s anything that you take away from this is that we need to pass a moratorium. If a second moratorium passes, it would also free the governor from having to implement the program. Obeying the law and implementing the program. Refusing to implement the program and disobeying the law. “We want to get a reasonable bill to him, put the ball in his court and make him act without being able to put blame on the legislature,” added Boyer, who noted that MPP will lobby against a second moratorium.